Since 1971, Bob has been active in real estate brokerage, syndication, development and management. Before forming Stone Tower Properties in 1987, he founded and was president of Kate's Properties of Providence. He was also a Senior Vice President of real estate acquisitions for Mutual Benefit Financial Service Company of Providence and Newark, New Jersey. After running Stone Tower Properties for 31 years, he merged the company into MG Commercial Real Estate in 2018. A familiar figure with a number of real estate associations, Bob is a founding member and on the boards of The Rhode Island Chapter of the National Association of Industrial and Office parks, the Downtown Providence Improvement Association and the Ocean State Business Development Authority. 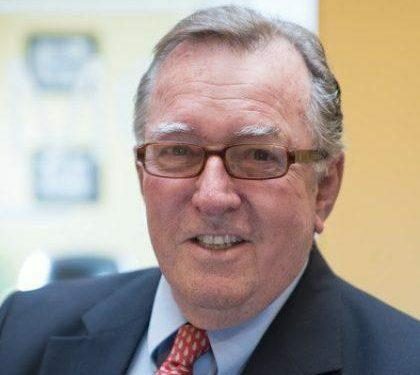 He is a past president and a member of the Building Owners' and Managers' Associations, and a past board member of The Commercial and Appraisal Board, the Rhode Island Association of Realtors and Save the Bay. Bob is a Brown University Graduate with a degree in Psychology. He then attended Navy OCS School and spent four years with the amphibious Navy in the Viet Nam Arena. He was honorably discharged in 1967 as a Lieutenant. Bob has two children and resides in Portsmouth with his wife, Stephanie.